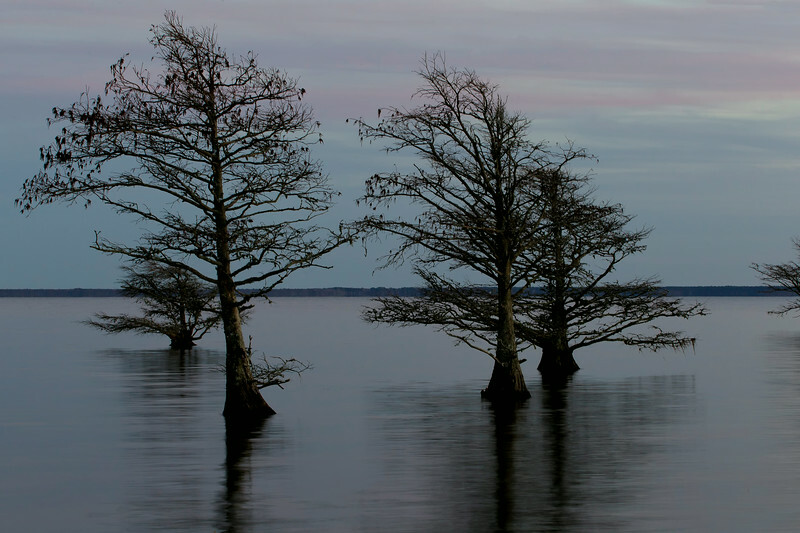 Lake Mattamuskeet bald cyress trees at dusk. 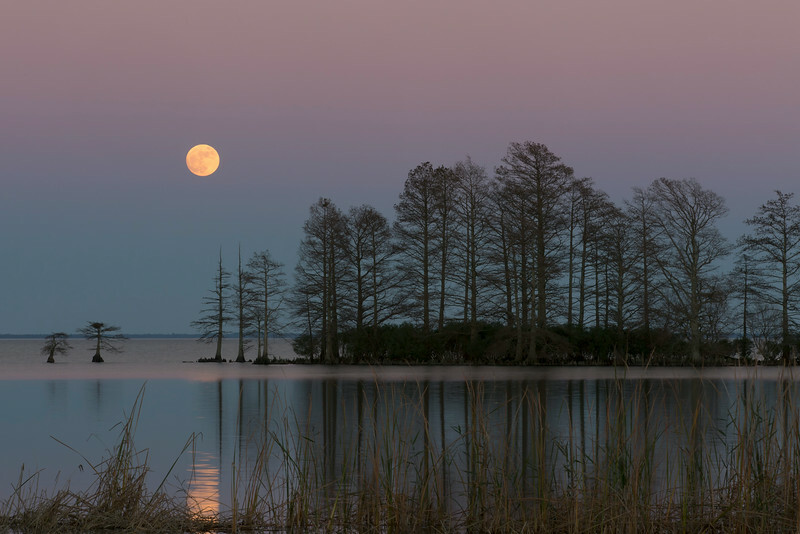 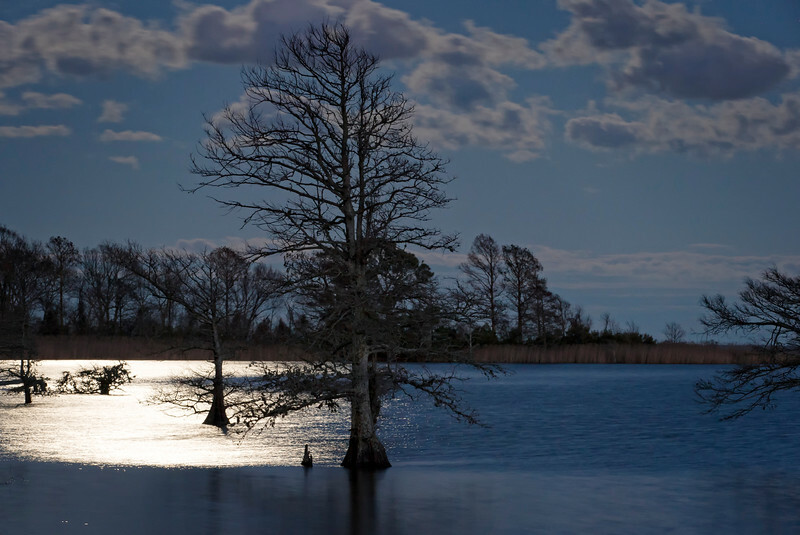 Lake Mattamuskeet bald cyress trees with a full moon. 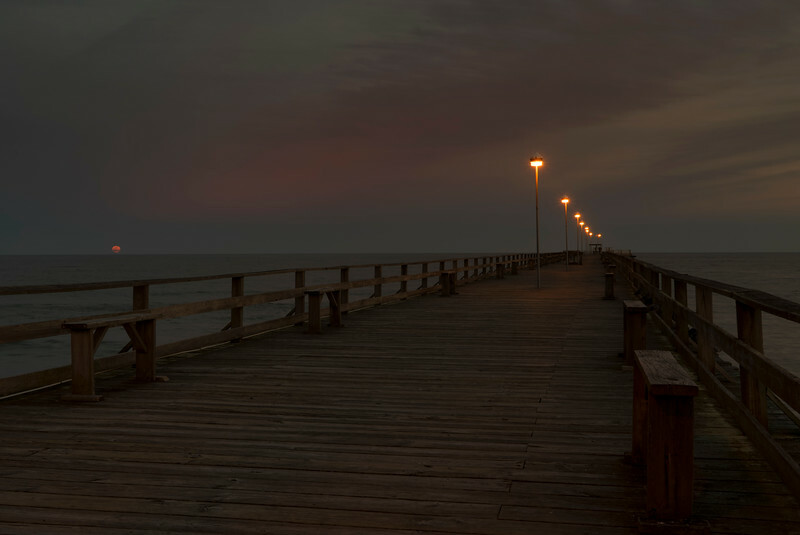 A full moon rises next to the pier at Kurri Beach, North Carolina.